We’d all love to have perfect posture and spend our days walking around like flamingo-esque super models. But the reality is, most of us have pretty bad posture habits that leave us slouching in the office chair or car seat, and doing serious damage to our spines. Introducing Baxter – the back star! 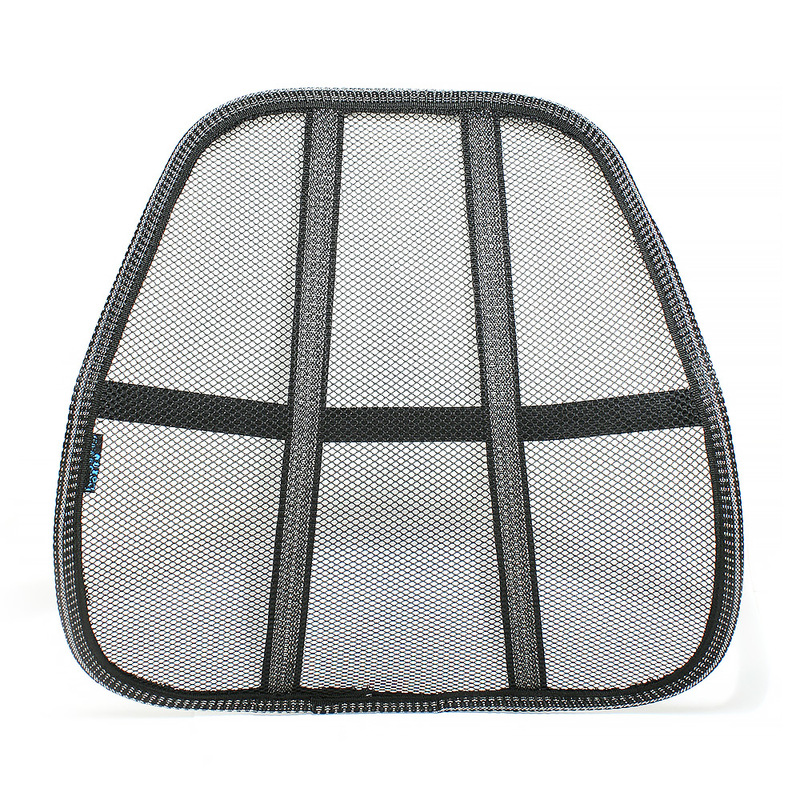 This fantastic Mesh Back Support is comfortable, springy and easy to fit to pretty much any office chair, dining chair or car seat. Made from flexible and breathable mesh fabric with a rigid frame, it features two webbing straps that sit flush with your chair (to maintain the curve of the support) and a stretchy elastic strap that slips over the back of your chair. Baxter has been ergonomically designed to offer superior support and to maintain the natural curve of your spine. The result is healthier posture and a super comfortable seating situation that you’ll love. Suddenly a whole day spent in front of the desk isn’t a death sentence! Thank goodness Baxter has got your back. Made from flexible mesh fabric strung tight across a rigid frame. Ergonomic design provides support and helps to maintain good posture. Stretchy elastic strap slips easily over the back of most chairs. Two webbing strap supports keep the Baxter flush with the back of your chair preventing the back support from caving under pressure. Mesh fabric is breathable and allows air to circulate around your back – perfect for hot days. Great for office chairs, dining chairs or even car seats. Dimensions: 43cm (w) x 43cm (h) x 14cm (d).